Even arriving at Seven Springs Mountain Resort is an experience. Stretching out in every direction from the meandering mountain road leading to the Main Lodge, the snowy forest sets the scene. Upon the final ascent of the entrance route, the road curves to the right and suddenly the very mountain itself greets you with its alpine grandeur, meticulously decorated with skiers and snowboarders gliding down the mountainside as they navigate the snow. Walk into the lodge and you are greeted with warm fires and even warmer smiles. You are now in a happy place, a place where the cares of the outside world melt away like snowflakes on your cheeks. A skier warming up inside, still glowing from the exhilarating experience she had on the slopes just a few moments ago. An older couple toasting the years over a meal fit for a king, enjoying the warmth as they take in the scene out the window. A young girl marveling at the snow falling outside, begging her parents to let her jump in just one more time. Dig deeper and you’ll discover a world of winter fun that you never knew existed. Seven Springs is much bigger than even those big sparkling slopes that seem to catch all of the attention. At any moment, people are racing through the woods on snowmobiles, snowshoeing across the mountaintop, refreshing their mind and spirit at the Trillium Spa or just relaxing and catching the big game at the Bavarian Lounge after a day filled with fun. The skiing is great but there’s a lot to more Seven Springs. On the slopes, someone finally conquered their first black diamond. Just a few yards away, someone is equally elated to have made their first picture-perfect run down a green-rated trail. In the terrain parks, a young teen just slid across a cold steel rail and stuck his first flawless landing. That’s the beauty of skiing and snowboarding, those exciting moments never end because there is always something bigger to conquer next. Got kids age 11 or under? The Winter Family Memories package is the resort’s most popular offering and it’s not hard to see why. Spend two nights in the hotel and get a ton of inclusions like unlimited skiing and snowboarding for the duration of your stay, snow tubing tickets, mini golf, bowling, roller skating, swimming and more. You won’t go hungry with a massive breakfast buffet each morning, dining credits for each guest and a family-size pizza with breadsticks also included. Kids 11 and under get the entire package for free when staying with paying adults. Even though it starts at just $352 per adult, it’s got everything you need to take the family up to the mountains and enjoy a getaway in a beautiful destination. Just check in when you arrive and you’re all set to start exploring. 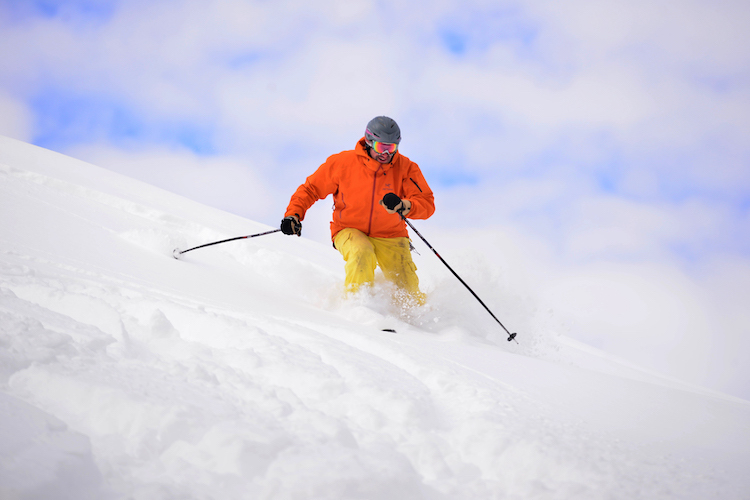 Looking to cut loose and get out for an adrenaline-filled day on the slopes? The Rails to Rails package has the essentials you need for escaping to the mountains. Spend one night in the hotel and get unlimited skiing and snowboarding during your stay, breakfast buffet, a limited-edition Seven Springs tee and more starting at $150 per person. Seven Springs is world-famous for its elite terrain parks and they have a park for every ability level from pure beginner to expert rider. From gentle snow features that help you develop fundamental skills to the only 22’ Superpipe on the East Coast and every jump and jib you can imagine in between, the terrain parks are the place to have some serious fun. What’s really great about these packages is not just their affordable price or the cool things that they include. It’s that staying in the hotel means you’re right in the center of everything. Head out the front door of the lobby and you’re steps from the chairlift. Make your way into the Main Lodge and you’ve got 11 lounges and restaurants at your fingertips. It’s all right there for the taking. Even better: staying on a package means you’re saving up to 25 percent compared to buying all of the inclusions separately. Adrenaline junkies, homebodies, aristocrats and average Joes will all find something to smile about at Seven Springs. There’s just something about this place that brings us all closer together. Maybe it’s the elegance of the snow gently blanketing the forest, maybe it’s the fact that the resort offers so many diverse options for fun or maybe it’s just some kind of magic that exists only in the mountains. We may never know beyond the twinkle in the eyes of each face we happen upon while spending time at Seven Springs. 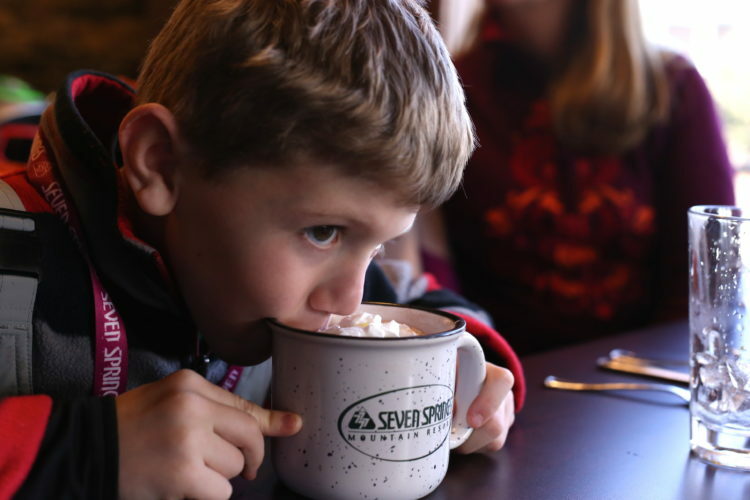 The post Magic in the mountains at 7 Springs: it’s all downhill from here appeared first on NEXTpittsburgh.